Made possible by the generous support of Bishop’s alumnus John Donald ’60, DCL ’12, the Donald Lecture Series brings speakers of national and international renown to the Bishop’s campus to provide insight, provoke thought, and stimulate debate on the most compelling issues and events in the world today. All lectures are free of charge and open to the public. In September 2016, Pulitzer Prize winning New York Times columnist Maureen Dowd will release her latest book, The Year of Voting Dangerously: The Derangement of American Politics. She will share with us her wry humour and acerbic insights into the most disruptive Presidential race in modern history. 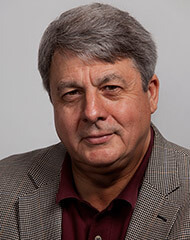 Chief Washington Correspondent of the New York Times Carl Hulse will lead the conversation. 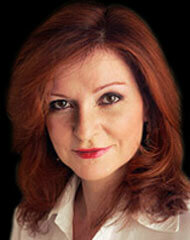 Maureen Dowd, winner of the 1999 Pulitzer Prize for distinguished commentary and author of two New York Times bestsellers, became a columnist on The New York Times Op-Ed page in 1995. Born in Washington D.C., Ms. Dowd began her journalism career in 1974 as an editorial assistant for The Washington Star, where she later became a sports columnist, metropolitan reporter, and feature writer. In 1983, she joined The New York Times as a metropolitan correspondent and then moved to the Times’ Washington Bureau in 1986 to cover politics. Since then, Ms. Dowd has covered seven presidential campaigns, served as the Times’ White House correspondent, and wrote “On Washington,” a column for The New York Times Magazine. In the run up to the 2004 presidential election, G.P. Putnam published her first book, Bushworld which covered the presidency and personality of George W. Bush. After Bushworld quickly climbed the best-seller list, Ms. Dowd switched from presidential politics to sexual politics in another bestseller Are Men Necessary? When Sexes Collide, released in 2005. In addition to the New York Times, Ms. Dowd has written for GQ, Vanity Fair, Rolling Stone, The New Republic, Mademoiselle, Sports Illustrated, and others. Carl Hulse is one of the nation’s leading political journalists and has reported on events in the nation’s capital for 30 years. He currently serves as the Chief Washington Correspondent of the New York Times and writes the regular “On Washington” column for the news organization. Carl previously served as Washington Editor of The New York Times, directing the newspaper’s coverage of Congress, the White House and federal agencies between the years 2011 to 2014. He is considered an expert on Congressional affairs and spent nearly a decade as Chief Congressional Correspondent. He has been described as among the most savvy political analysts in the nation. Besides following national politics, he has played an integral role in covering such stories as the aftermath of the Sept. 11, 2001 attacks, the 2008 economic collapse, the ongoing struggle over the limits of executive power, the rise and influence of the Tea Party, and the partisan divide in Congress and its implications. Most recently, he led the team that developed and launched “First Draft”, the popular new morning newsletter and digital political news feed produced by The New York Times. 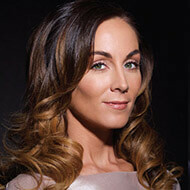 As a child, Amanda Lindhout escaped a violent household by paging through issues of National Geographic and imagining herself in its exotic locales. At the age of nineteen, she began to travel the globe. Aspiring to understand the world and live a significant life, she backpacked through Latin America, Laos, In war-ridden Afghanistan and Iraq she carved out a fledgling career as a television reporter. And then, in August 2008, she travelled to Somalia—“the most dangerous place on earth.” On her fourth day, she was abducted by a group of masked men along a dusty road. Held hostage for 460 days, Amanda converts to Islam as a survival tactic, receives “wife lessons” from one of her captors, and risks a daring escape. Moved between a series of abandoned houses in the desert, she survives on memory—every lush detail of the world she experienced in her life before captivity—and on strategy, fortitude, and hope. When she is most desperate, she visits a house in the sky, high above the woman kept in chains, in the dark, being tortured. Vivid and suspenseful, hers is the searingly intimate story of an intrepid young woman and her search for compassion in the face of unimaginable adversity. A captivating, unforgettable speaker, Lindhout alights on the positive and leaves the audience with a fuller understanding of the freedom we can all experience when we choose to embrace compassion. What emerges is a celebration of resilience — a powerful portrait of the strength of the human spirit. Senator Sinclair served the justice system in Manitoba for over 25 years. He was the first Aboriginal Judge appointed in Manitoba and Canada’s second. He served as Co-Chair of the Aboriginal Justice Inquiry in Manitoba and as Chief Commissioner of the Truth and Reconciliation Commission (TRC). As head of the TRC, he participated in hundreds of hearings across Canada, culminating in the issuance of the TRC’s report in 2015. He also oversaw an active multi-million dollar fundraising program to support various TRC events and activities, and to allow survivors to travel to attend TRC events. Senator Sinclair has been invited to speak throughout Canada, the United States and internationally, including the Cambridge Lectures for members of the Judiciary of various Commonwealth Courts in England. He served as an adjunct professor of law at the University of Manitoba. 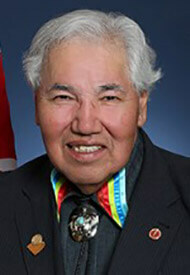 He was very active within his profession and his community and has won numerous awards, including the National Aboriginal Achievement Award, the Manitoba Bar Association’s Equality Award (2001) and its Distinguished Service Award (2016) and has received Honorary Doctorates from 8 Canadian universities. Senator Sinclair was appointed to the Senate on April 2, 2016. Ms. Henein is a senior partner at Henein Hutchison LLP recognized in Canadian Lawyer as one of the country’s Top Ten Litigation Boutiques. She has been counsel on numerous high profile cases. Her experience includes a wide range of criminal, regulatory, quasi-­‐criminal and cross border litigation representing individual, corporate and institutional clients both at the trial and appellate level. She acts in an advisory capacity in a range of complex internal investigations. Ms. Henein has argued at all levels of court frequently including the Ontario Court of Appeal and the Supreme Court of Canada. She received her LL.B. in 1989 from Osgoode Hall Law School and her Masters in Law from Columbia University in 1991. Ms. Henein is the Past President of The Advocates’ Society (2010-2011). She is a fellow of the American College of Trial Lawyers and a member of the Supreme Court Advocacy Institute. She is a founder of the Ontario Court of Appeal’s Appellate Duty Counsel Program, a program that provides free Appellate services to unrepresented Appellants at the Court of Appeal. Ms. Henein lectures extensively and is the editor of numerous publications. Ms. Henein has been repeatedly recognized as one of the Top 25 Most Influential Lawyers by Canadian Lawyer Magazine and was the 2013 recipient of the Law Society of Upper Canada’s Laura Legge Award. Aislin is the name of Terry Mosher’s eldest daughter, and the nom de plume he has used for over 40 years as the political cartoonist for Montreal’s English-language daily newspaper The Gazette. Mosher is also the President emeritus of the Association of Canadian Editorial Cartoonists. 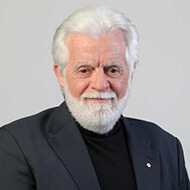 After graduating from the École des Beaux-arts (now part of UQAM) he began working for The Montreal Star, moving to the Montreal Gazette in 1972. To date, over 45 Aislin books have been published. His latest collection of cartoons entitled FROM TRUDEAU TO TRUDEAU, with an introduction by Bob Rae, will be published in early 2017. Mosher is a regular speaker on the topics of humour, history and the importance of cartooning as a communications tool. He has appeared at national conferences such as Idea City, the Banff Festival for The Arts, Montreal’s Canadian Club and numerous writers’ festivals. Mosher has also served as a judge and participant in International cartoon competitions and other gatherings, most recently in Portugal, Turkey, China, Australia and Cuba. Terry Mosher has had a long association with The Old Brewery Mission, Montreal’s largest shelter for the homeless, and in 2001 he was appointed to the institution’s Board of Directors. In recognition of his charitable work and his contribution to the world of political cartooning, Mosher was named an Officer of the Order of Canada in May 2003. The winner of two National Newspaper Awards and a gold National Magazine Award. In May of 2007 Terry received an honorary Doctor of Letters from McGill University. In 2012 he was inducted into the Canadian Cartoonist’s Hall of Fame in a ceremony in Toronto as part of the 8th Annual Doug Wright Awards for Canadian Cartooning. For all questions regarding the Donald Lecture Series, please contact Denise Lauzière, Chief of Staff, Office of the Principal and Vice-Chancellor at denise.lauziere@ubishops.ca, or 819-822-9600, ext. 2201.